At times I am amazed at just how complacent we in the church can become. Apathy reigns and as long as we are not bothered we do not bother anyone else. Of course, as we have all heard before, if we do not bother the devil he will not bother us. But wait a minute. Is this true? Of course not. We are at war. And our enemy is not flesh and blood. Our enemy is Satan and his demonic kingdom. The truth is that we cannot live the Christian life successfully and be constantly complacent. We cannot be at ease. We cannot let our guard down. We must never assume that we are safe from temptation or sin. If we are lulled into a false assurance that we need not fight then we are about as helpful to the church as a watchman who is asleep. We tend to think that the absence of conflict is peace. Is this really what it means to have peace? Peace is not the absence of conflict. Peace is found in victory. We have peace when we resist evil and when we overcome Satan’s schemes. Peace is that which passes all understanding when every emotion in our soul tells us we should be afraid. Peace is not the absence of conflict, it is living in the assurance that we have been given the victory through Christ Jesus. The key to keeping the faith and finishing the course is not taking the easy way out or trying to find a way around trials, tribulations, and torments. The key is found in resisting the devil. Over and over we have heard this – we must resist. We must fight. We must be strong willed and determined and confident and courageous. We must stand firm. This is how we participate in the victory already secured for us. We stand. In this passage, as we hear the command to put on the whole armor of God, we find that we are to be using the armor God has given us so that we might “withstand in the evil day.” To withstand is to resist, making up our minds that we will not yield. Why is it that so often we are stiff necked and stubborn when it comes to holding on to our sin or excusing our disobedience when instead we should stubbornly stand against all that is evil? Our resolve should not be firmly planted behind satisfying self – it should be a resolute determination to stand against all that is wicked. 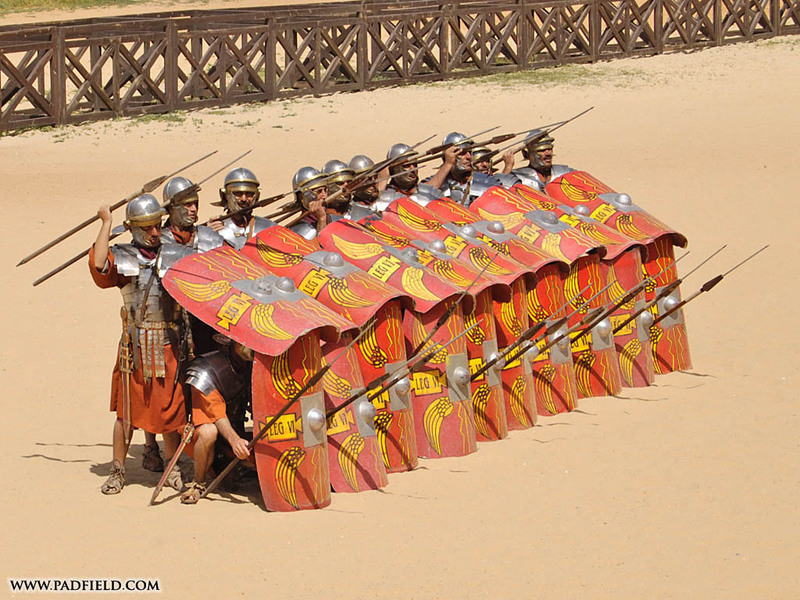 Looking at our text we see that we are told to put on the armor so that we might “stand against the wiles of the devil” (vs. 11), “withstand in the evil day and having done all to stand” (vs. 13), so that we might “stand therefore” (vs. 14). Fighting here is not about taking ground or conquering territory. It is about standing our ground! We need not take more ground – Jesus has already taken it all! So what is left to do? Stand firm. Stand in defiant resistance, refusing to give ground or yield our mind, will, or emotions to the enemy. The whole armor of God, as we will study each piece, has been given so that we might stand firm through the fighting and remain standing to the end of the war. It is about endurance and perseverance. Many times we see those who want to fight spectacular battles and expose the devil and his demons and route them from the field in people’s lives. But we are getting ahead of ourselves if we think this way. We need to see that since the war has already been won we need not re-defeat the enemy. He is already defeated. What we need to do is stand against the attempts he makes to wound us as he himself is dying. Even Michael the Archangel, as he is engaged in warfare against Satan, does not rely on himself, his angelic power and might, to overcome the enemy. He proclaims boldly, “The Lord rebuke you!” (Jude 1:9), for it is the Lord who has defeated Satan – it is the Lord, not us, who binds the “strong man” and plunders his house (Matt 12:29). Fighting defensively against Satan is really like killing a rattle snake. Chop his head off and he can still bite you and there is still venom in his fangs. So we need not chase the devil. We need not go looking for him. We need simply to resist him. Resistance is difficult. Think about it – when soldiers are on the offensive in battle that momentum propels them ahead. It is a different kind of battle though to dig in and hold your ground against the assaults of the enemy. It is not a surprise to see that the whole armor of God that we are given is defensive in nature. As we will see, there is no armor on our back!! If we turn and run away we are exposed to attack and to injury. Christ is on the offensive and our task in the battle is to remain alert. We need not go looking for the devil because he is already looking for us. Like a roaring lion. When he roars we must decide whether we will flee, or stand and resist. We have been given the whole armor of God so that we might stand. If we flee that is indeed a lack of faith in Christ and the victory He has won. It is also a lack of faith in the armor He has supplied. There is no need to fear the devil or to flee when he roars. Let us not be afraid of the fight. And let us not be complacent and apathetic as if the absence of conflict is the same as victory and peace. Peace comes at a price. Thankfully, Jesus paid that price in full once for all so that now we can stand with this assurance, “The Lord knows those who are His” (2 Tim 2:19) and He will not leave or forsake us in the heat of battle. As John Gill put it, our aim in the battle is to “keep your ground, do not desert the army, the church of Christ, nor his cause; continue in the station in which you are placed, keep your post, be upon your watch, stand upon your guard.” Having done all, we are told, we must stand. This coming Sunday, August 22, join us for worship at 10:30 AM as we continue in our study “The Whole Armor of God” with our fourth message, “To Stand”.